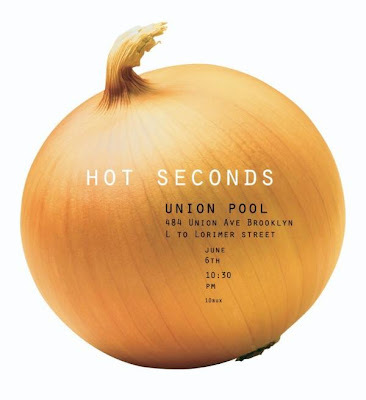 Quirky NY Chick: Hot Seconds At Union Pool This Saturday! Those delightful men collectively known as Hot Seconds will be doing their thing at Union Pool this Saturday, June 6. The Yes Way will be there too. If you're in the 'hood, swing by. You'll have a good time! That's what I plan on doing.